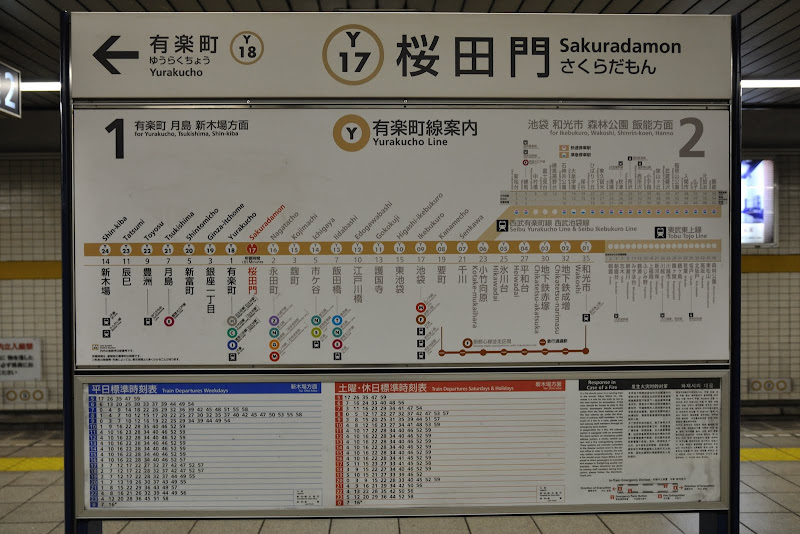 Took Oedo subway line to Tsuskishima and transferred to Yurakucho line to Sakuradamon to Imperial Palace. 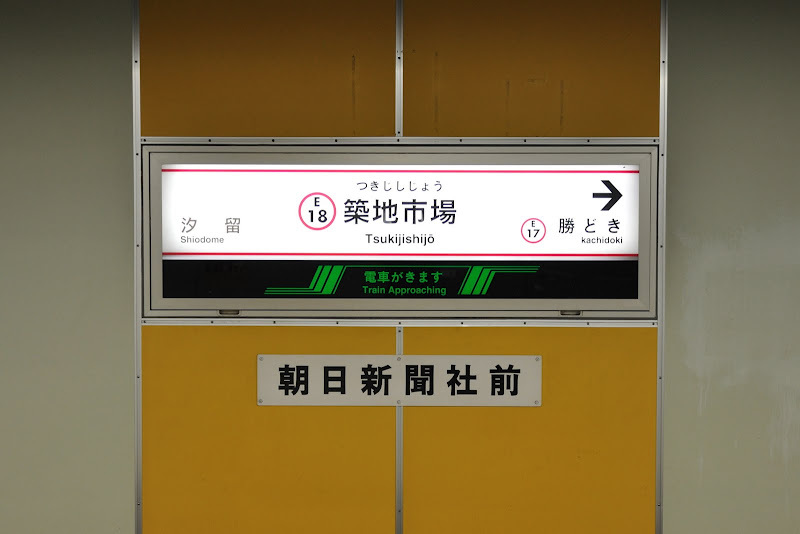 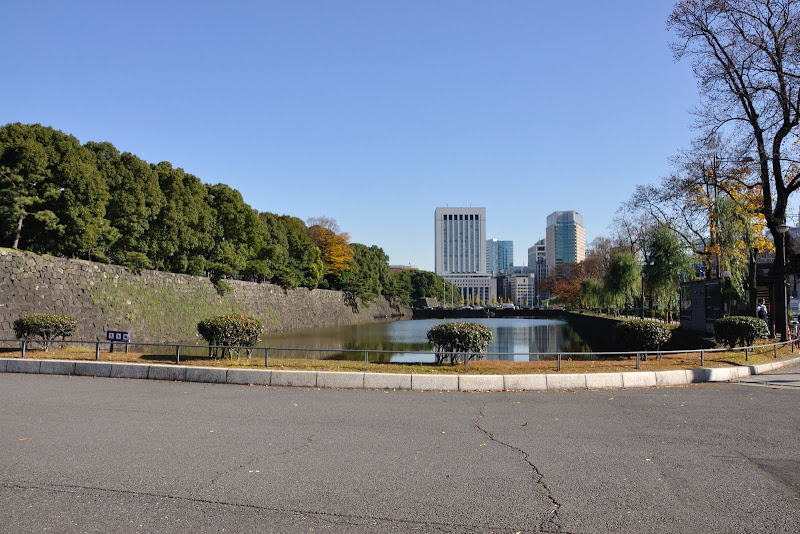 The subway exit from Sakuradamon Station was very near to the Sakuradamon of the Imperial Palace. 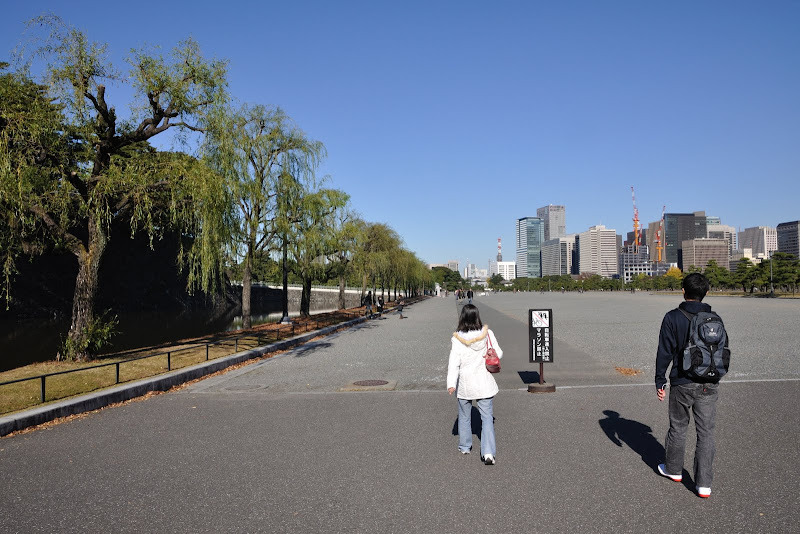 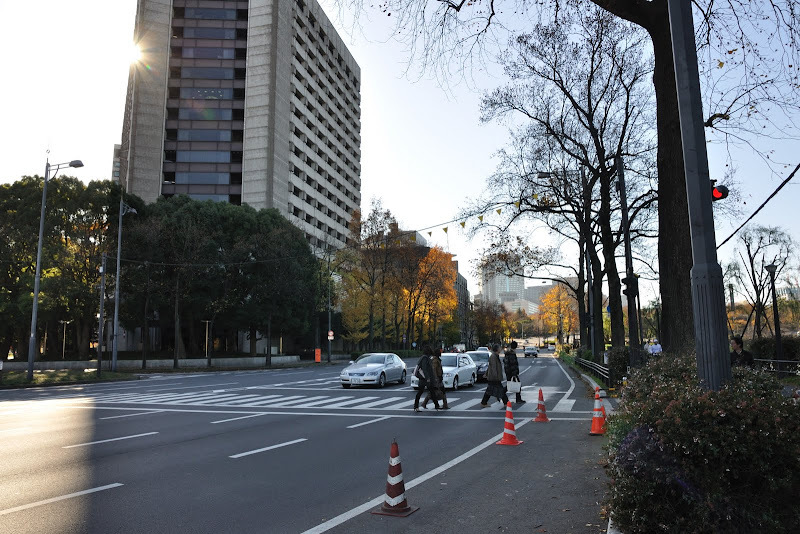 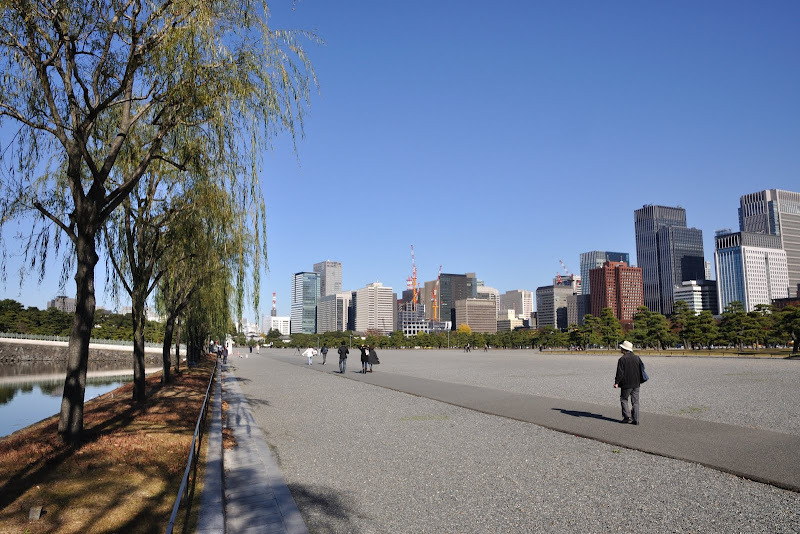 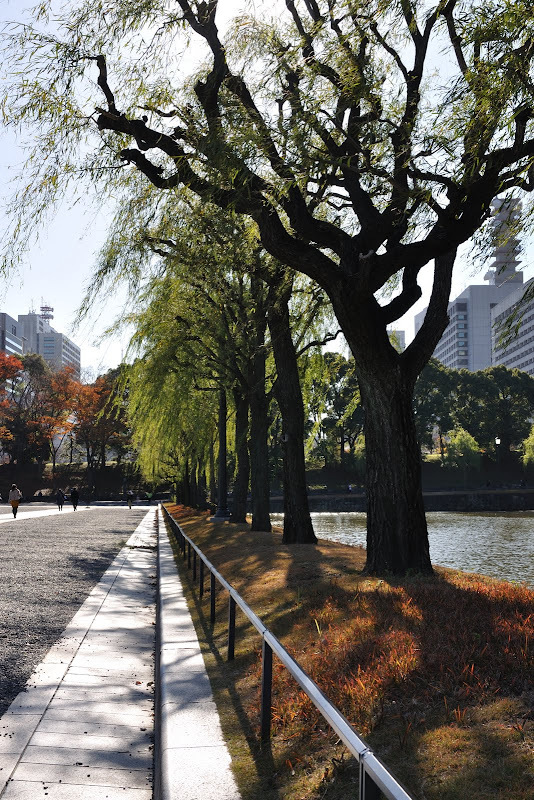 Walking on the gravel roadway on Kokyo Gaien, the large plaza in front of the Imperial Palace which is at the far left end. 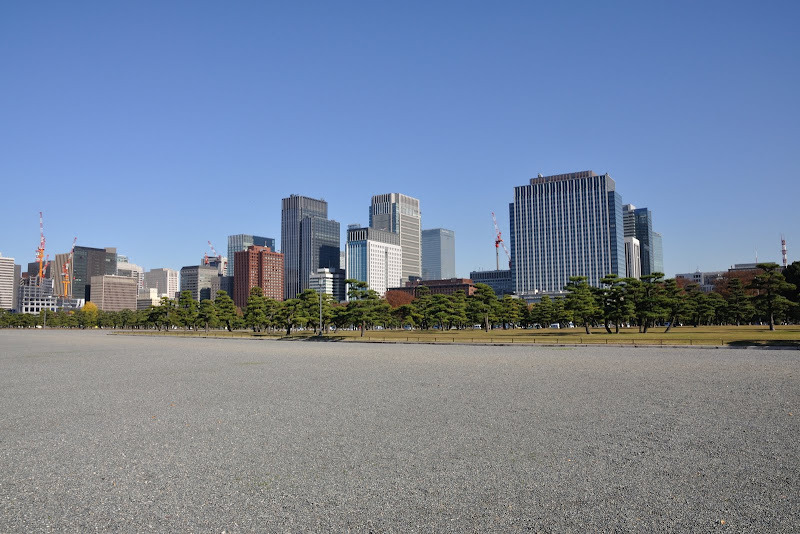 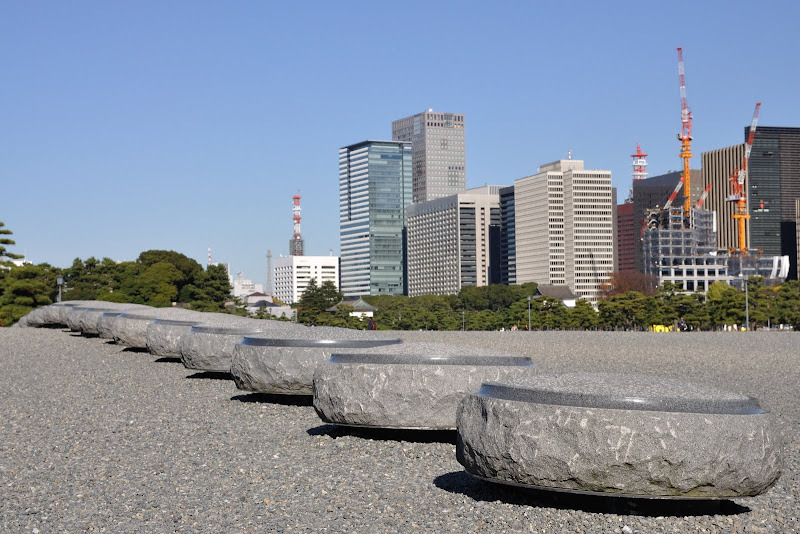 Tokyo Station Skyline from Kokyo Gaien, the large plaza in front of the Imperial Palace. 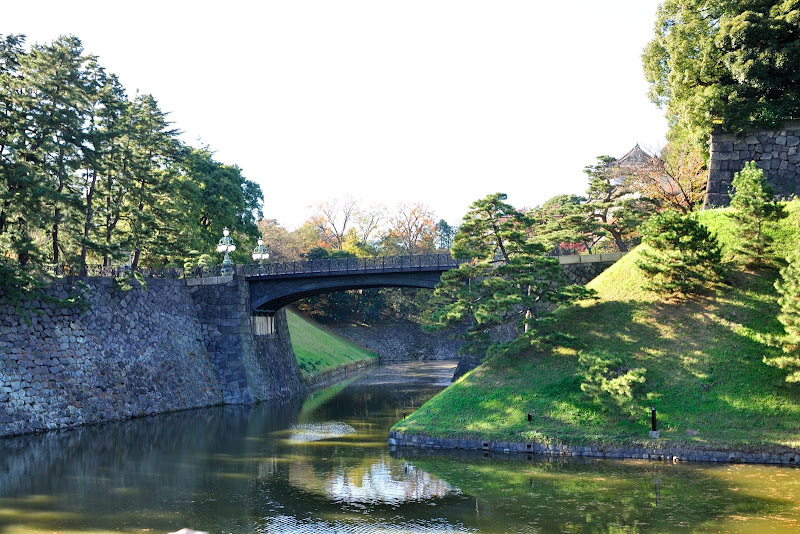 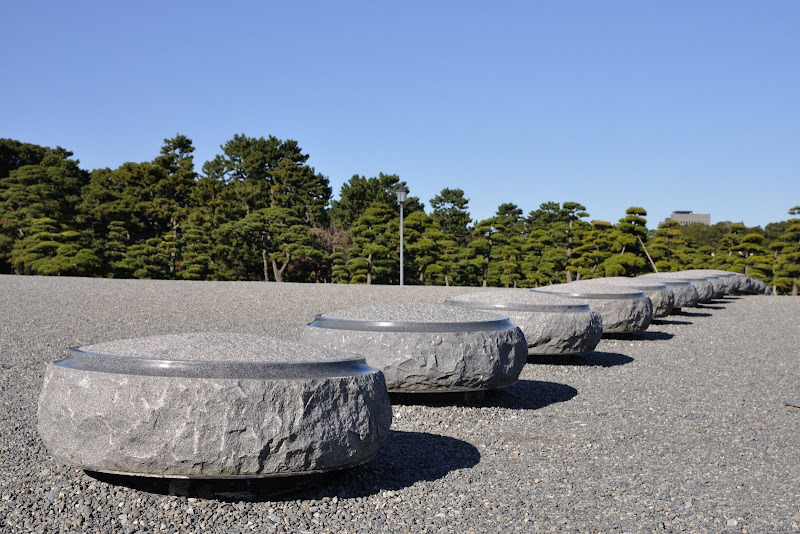 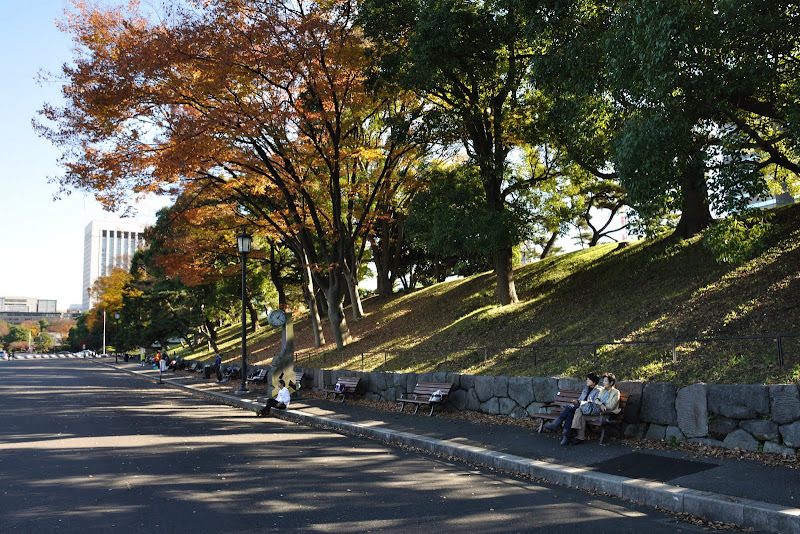 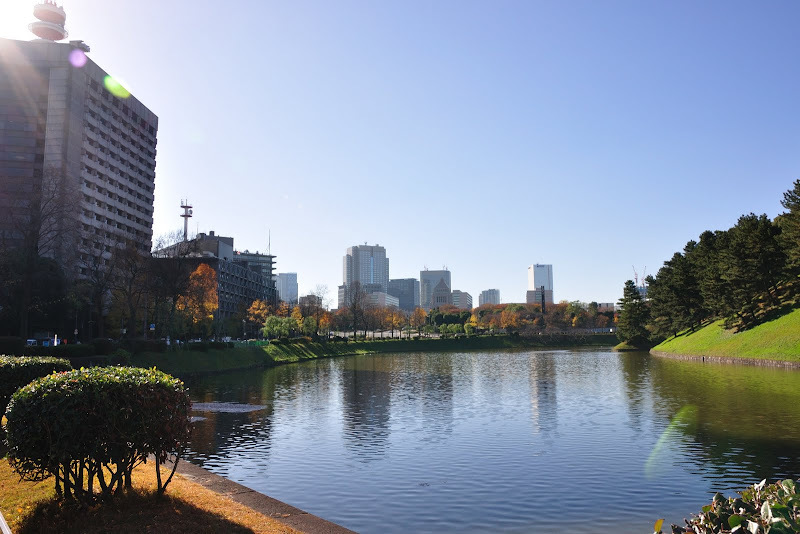 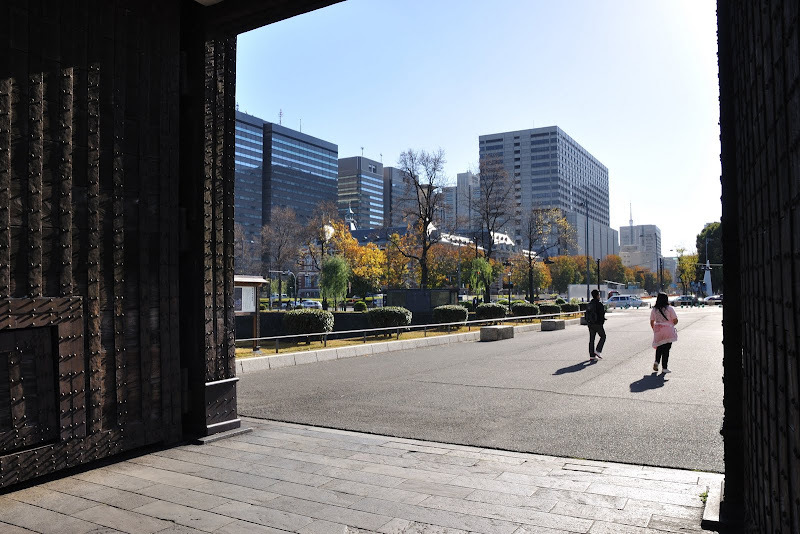 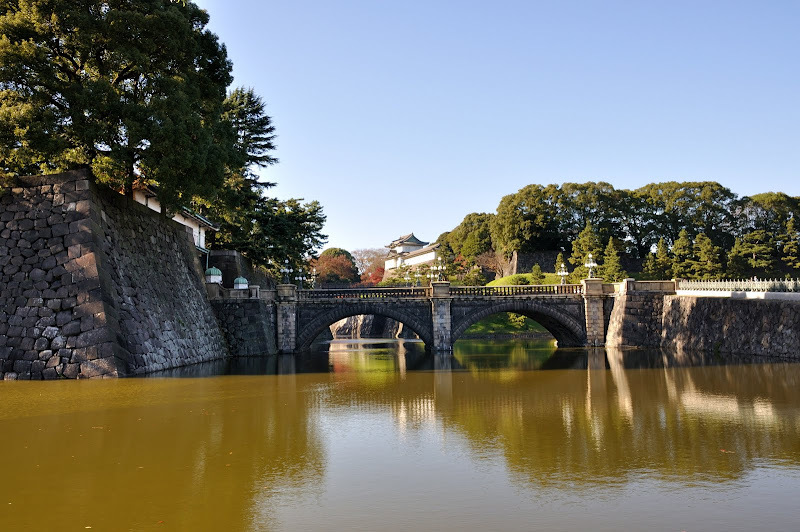 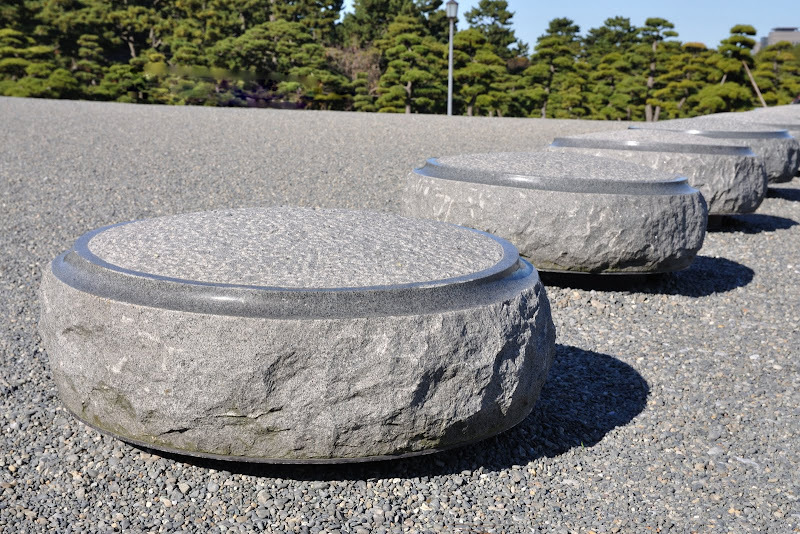 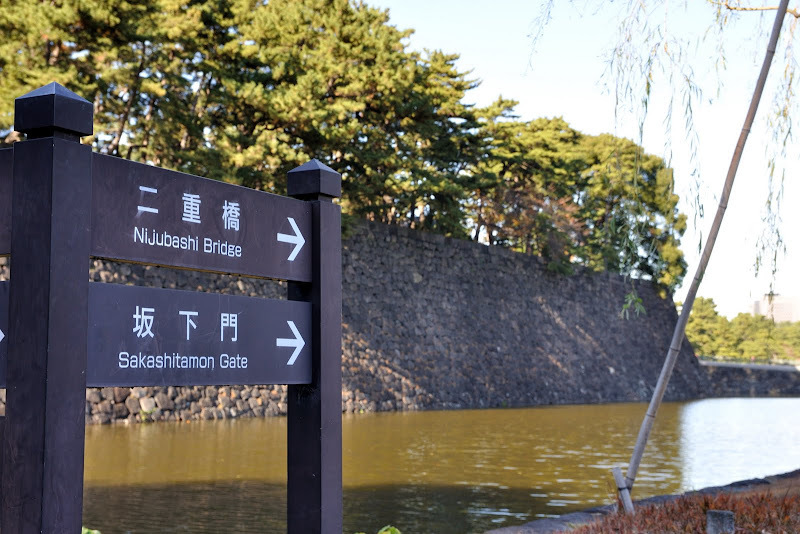 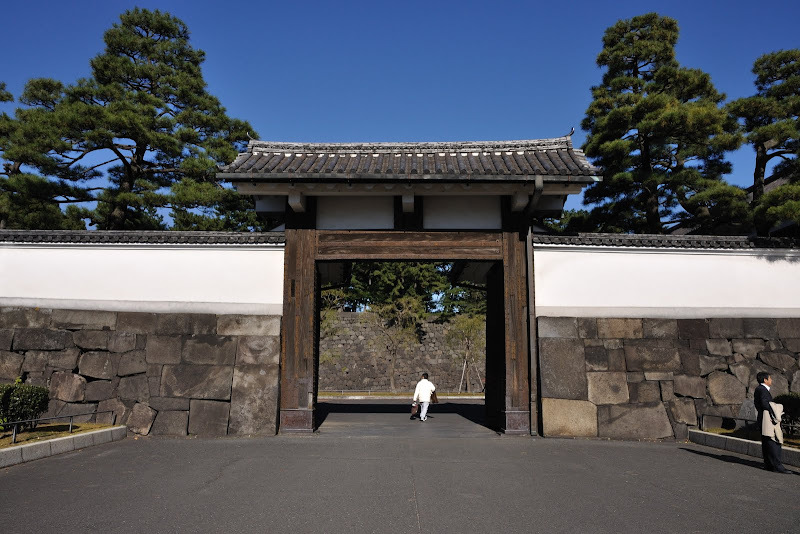 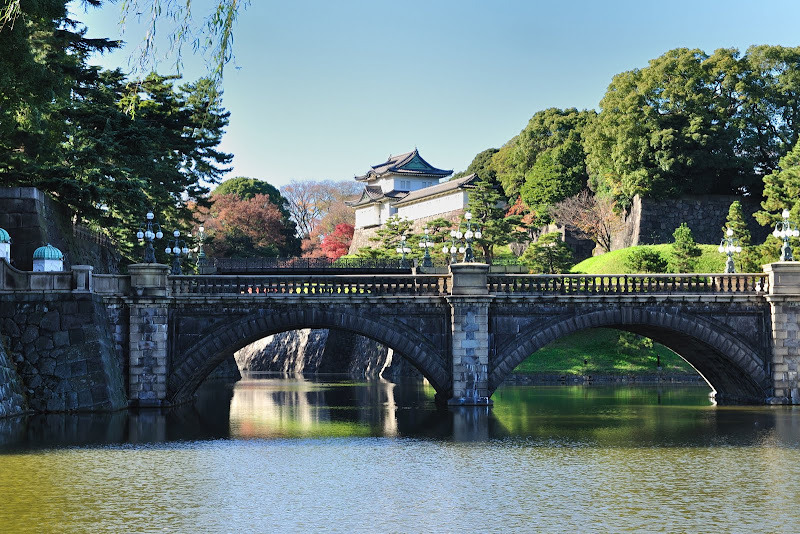 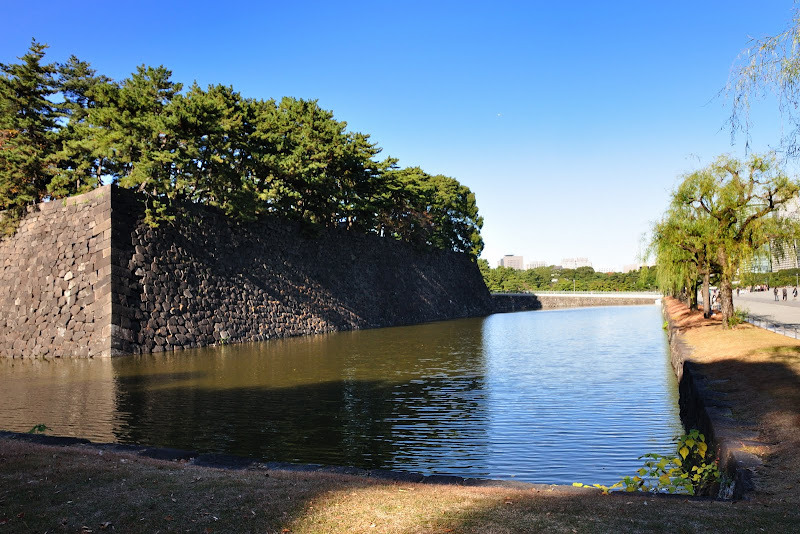 Home to Emperor Heisei and other members of the Japanese Royal Family, the Imperial Palace sits on land that was once occupied by Edo Castle. 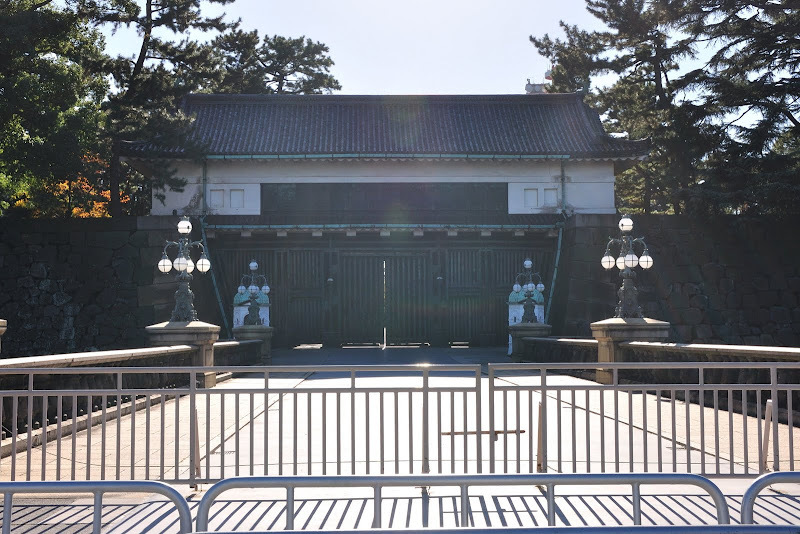 It became the official imperial residence in 1868, when Emperor Meiji transferred the seat of power from Kyoto to Edo and changed the name of the city to Tokyo. 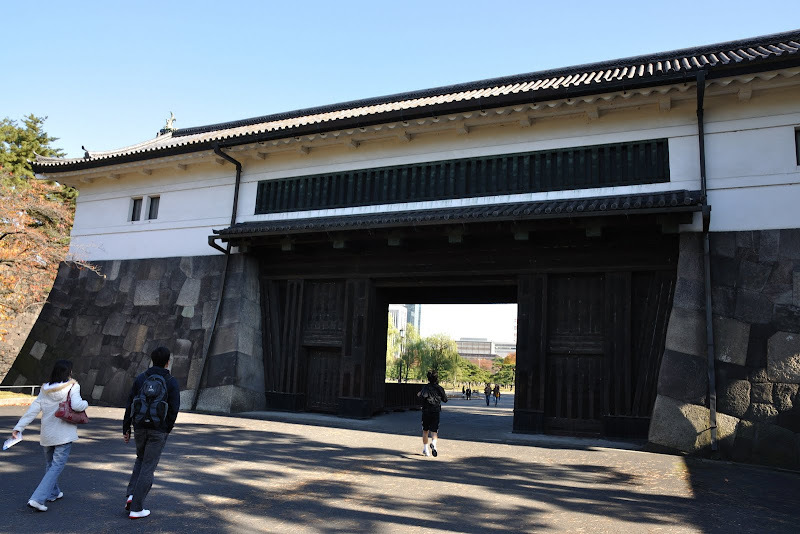 Throughout history the palace has been rebuilt many times - most recently in 1968. 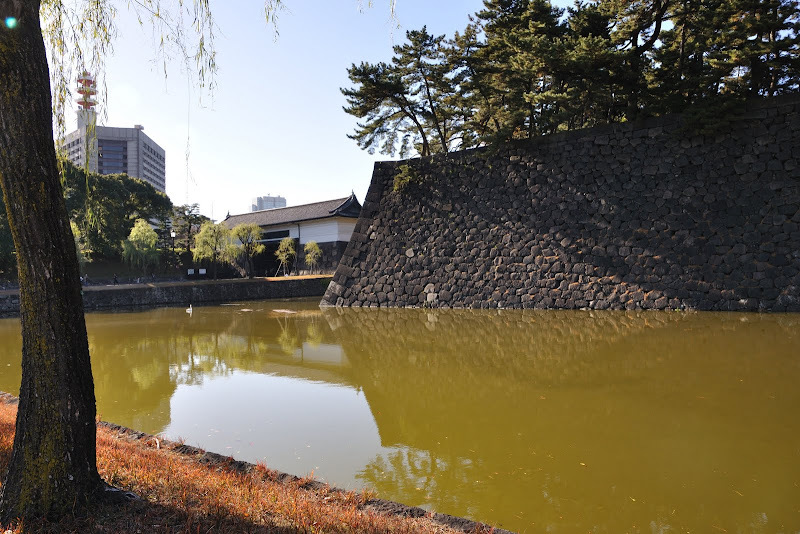 In the raids of 1945 it was almost completely destroyed, and that was in spite of the popular belief that a pond full of goldfish would scare the bombs away. 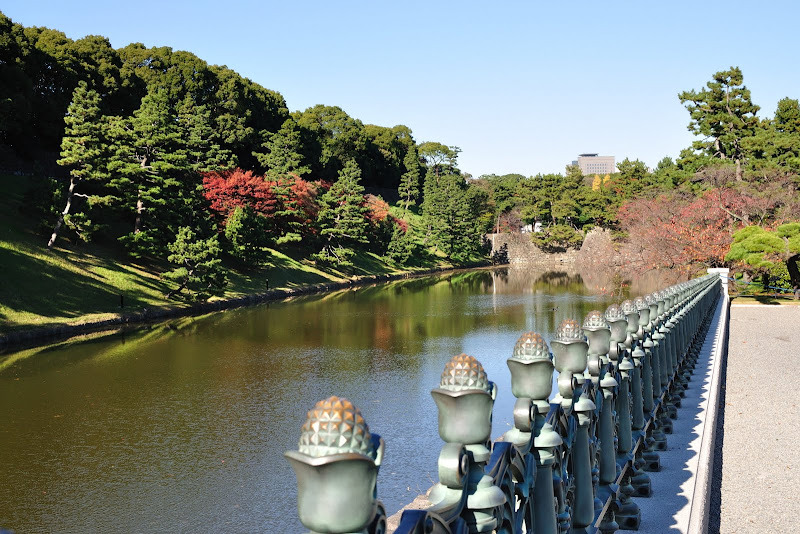 Imperial Palace in the background. 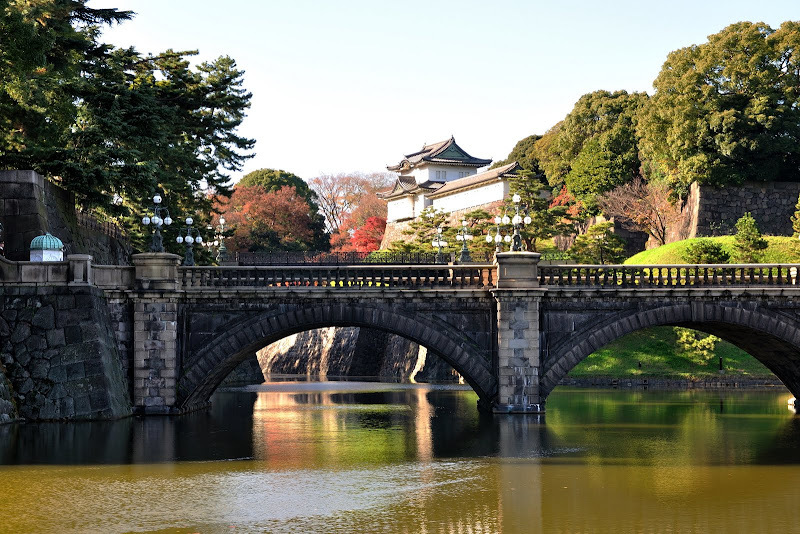 Nijubashi Bridge (Double Bridge) in foreground. 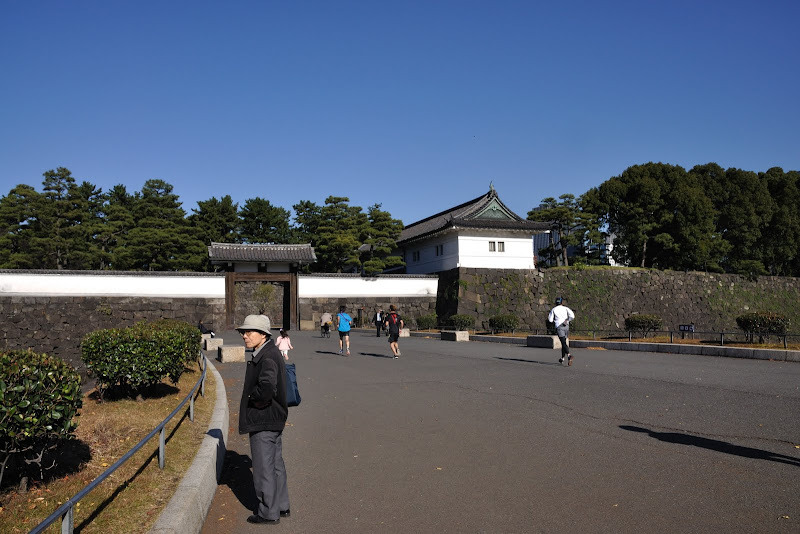 Entry to Imperial Palace but it was out of bounds. 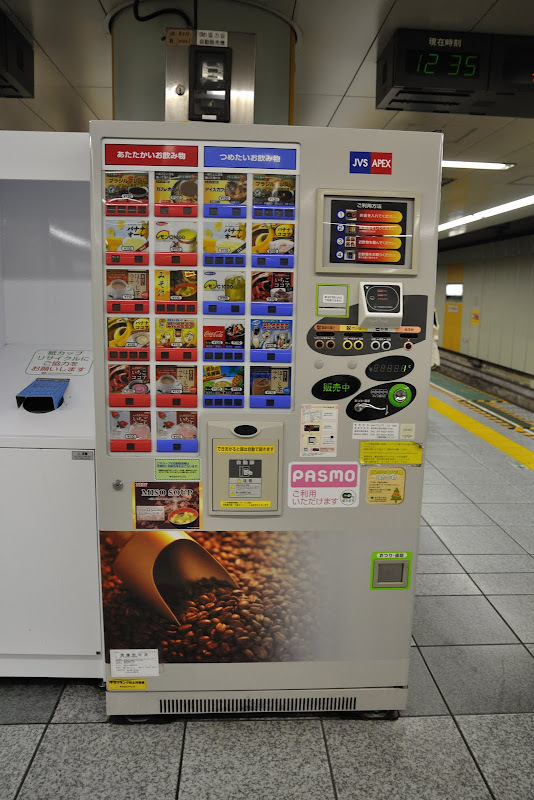 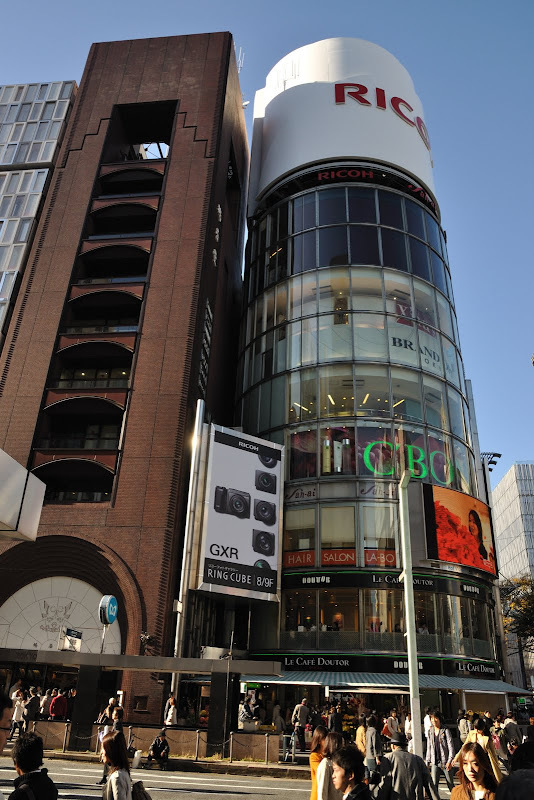 After that, we took the Yurakucho line to Ginza-itchome. 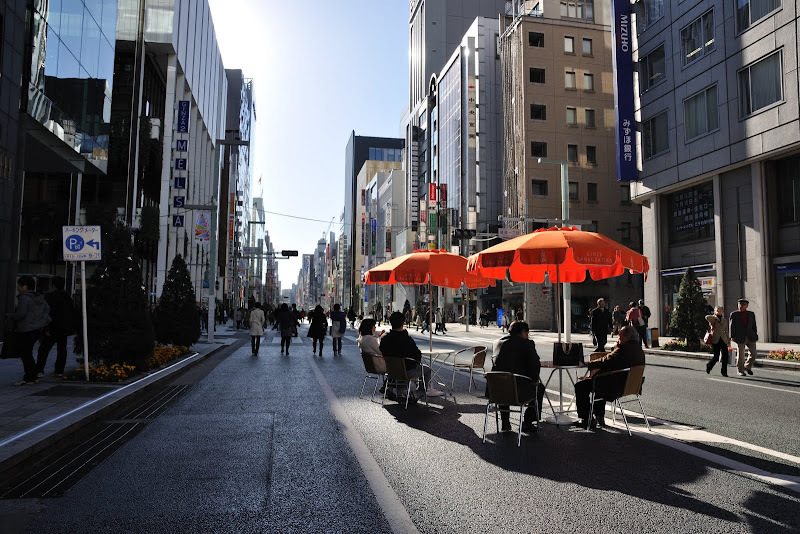 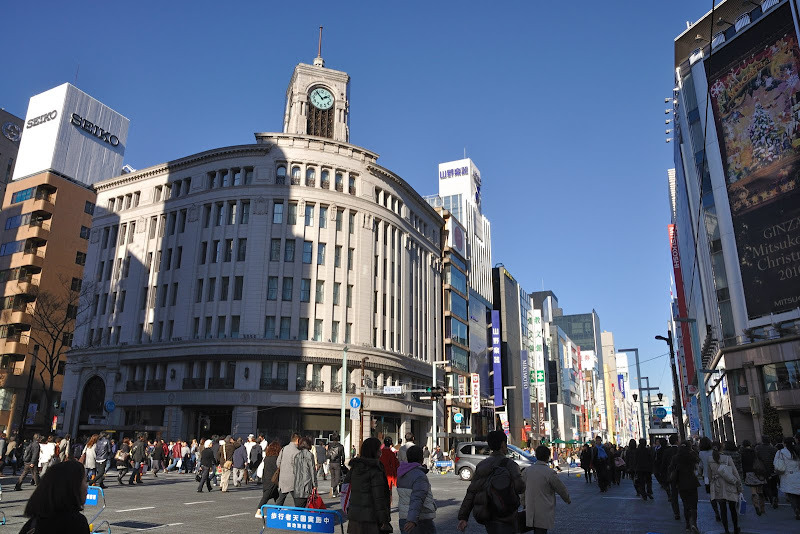 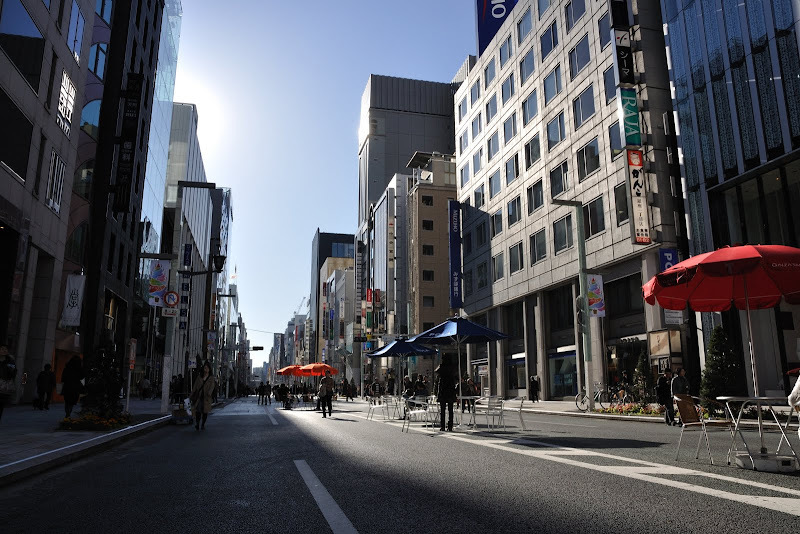 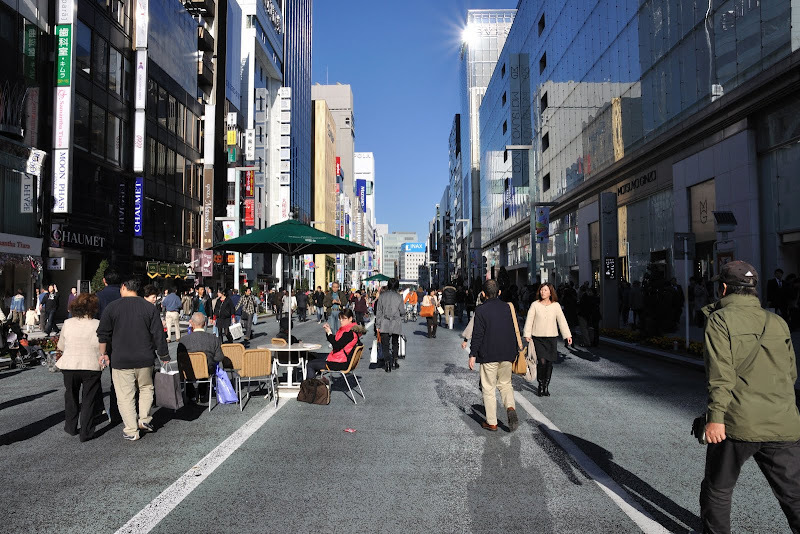 We reached Ginza before 2pm but the roads were already closed to traffic. 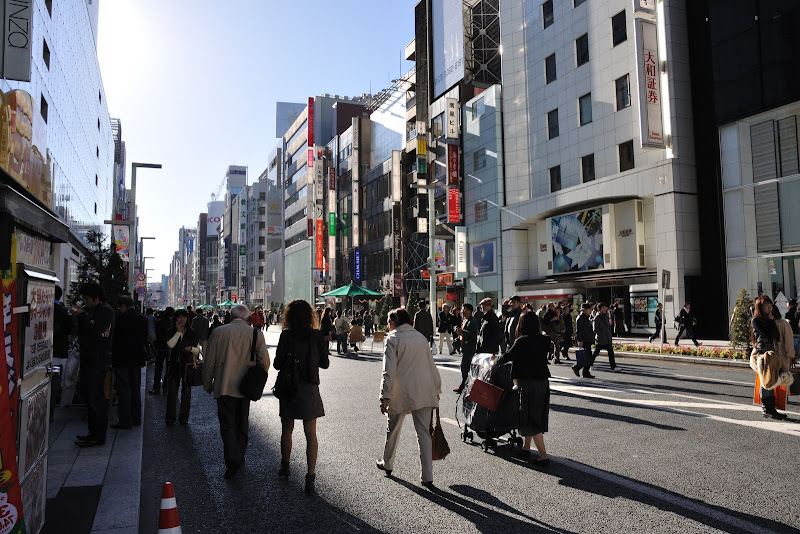 Droves of people everywhere. 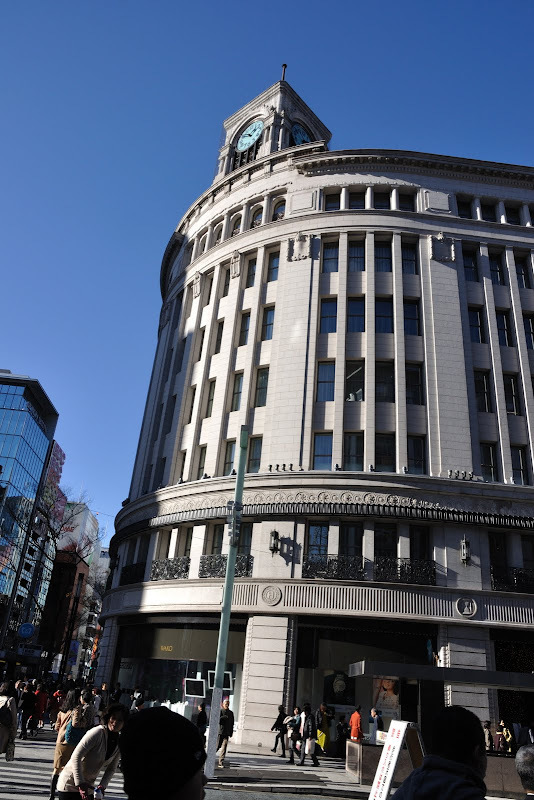 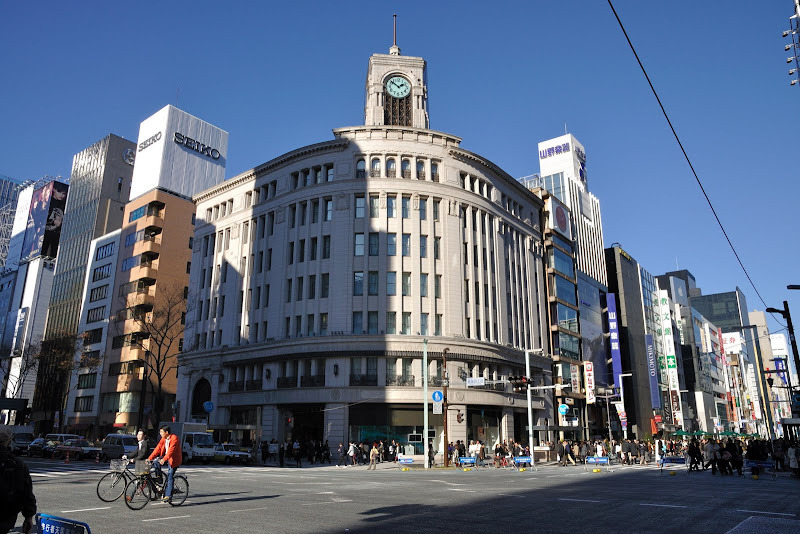 Walked past Mistsukoshi Departent Store, Apple Store Ginza and Sony Building. 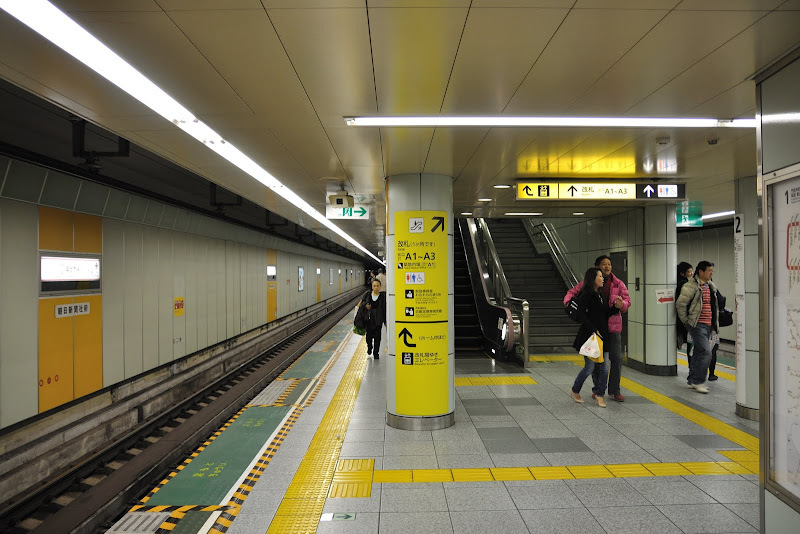 After hanging around for a while, we took the Ginza line to Asakusa Station.